While Kumagusu was in London, he met two people who were very significant to him. The first was the Chinese revolutionary Sun Yat-sen. 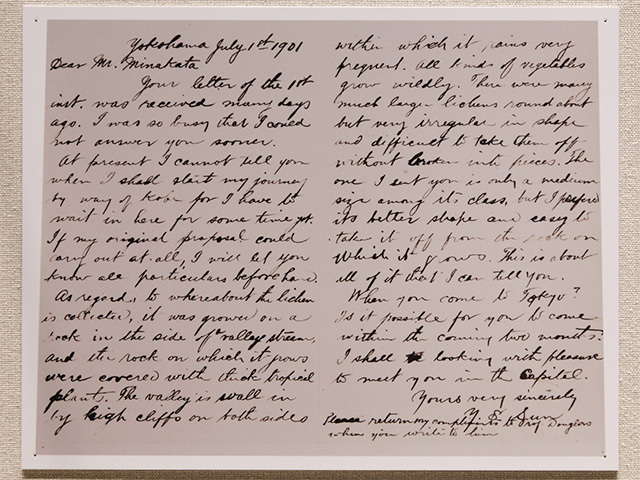 In 1897, Sun Yat-sen was exiled in London. The two were introduced by Sir Robert Douglas, Keeper of the Oriental Printed Books section of the British Museum. 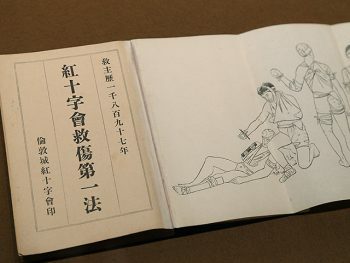 Kumagusu’s goal was to establish Eastern learning that he thought by no means lacked more than the Western one, and Sun Yat-sen hoped to introduce advanced Western civilization in order to modernize China. The two talked with each other of the dreams and futures of their home countries. 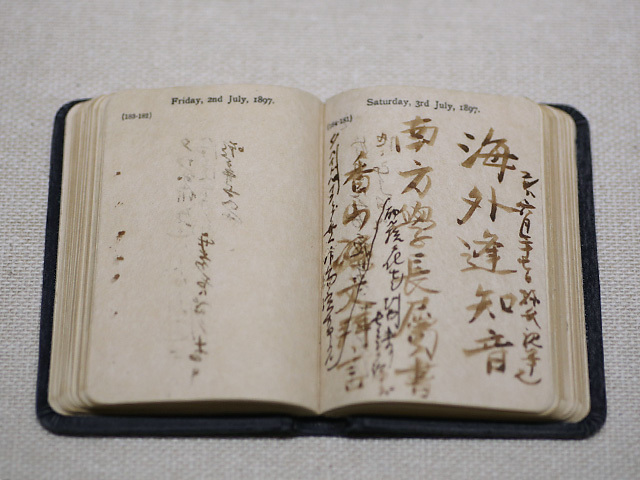 In 1897, Sun Yat-sen left a farewell message in Kumagusu’s notebook and diary and left England. 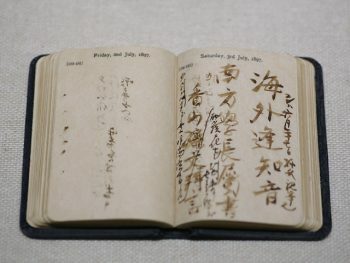 In 1901, after Kumagusu returned to Japan, Sun Yat-sen visited him all the way from Yokohama to Wakayama. Sun brought with him his favorite white hat as a gift. 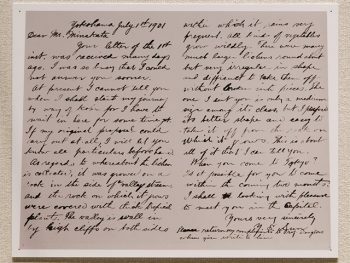 This was the last time they met, thought they exchanged a few letters after that. Ten years later, Sun Yat-sen succeeded in the Xinhai Revolution.